Path from 3rd to 4th spawn point is a tough one. The heal may have bug - it sometimes stuck after first use. Game restart may help with that (progress should be saved). Sorry about that. Did you use the Compiler? Some people miss it - I failed to make a good tutorial for it. Just stand on respawn point, press "ESC" and click on "Compiler" menu item. You can spend bits to buy health and ammo. You can farm bits by killing any bots. HARDCODE community · Posted in change the commands ? HARDCODE community · Replied to Gotenks917 in How do you play multiplayer? It's online and I already have a running server, so if you see "ONLINE" at the bottom of the screen then you are ready to meet other players. But today player base is too small, so it will be hard to find somebody in the game. HARDCODE community · Replied to Gotenks917 in Somebody reaches a final room! HARDCODE community · Posted in How do you play multiplayer? It's not like classic PvP multiplayer. You just play the game and you can meet other players and maybe co-op with them to solve some puzzles. HARDCODE community · Posted in JUST TO SAY... AWESOME! GREAT DEMO! Yeah! That's one of the best let's plays I've saw! Very cool video! Thank you very much for making it! I start new thread for investigating mouse issues. Hope I'll fix it. Dark Souls, Bloodborne, Destiny also does not have a pause. Looks like more and more people face this problem: unable to look around with a mouse. I can't reproduce this bug on my machines so I need your help to investigate this issue. Try to restart game in fullscreen mode. Try to restart game in windowed mode. Try to turn on "Mouse Smooth" option in "Settings > Controls > Mouse". Try to turn off "Mouse Smooth" option. Try to set 15 for "Mouse Sensitivity" in "Settings > Controls > Mouse". Try to set 5 for "Mouse Sensitivity" in "Settings > Controls > Mouse". Check if "Logs" folder exists near the game's executable. What system you use: 32-bit or 64-bit? HARDCODE community · Replied to Waffielz in Somebody reaches a final room! HARDCODE community · Posted in tried your game and recorded it too! It's awesome, guys! Thank you very much! HARDCODE community · Created a new topic Somebody reaches a final room! Looks like somebody reaches the 4th floor and a final room of this demo! Wonder who was it and how was it? Thank you for report - I'll fix that! You need to shoot yellow squares on the walls. I've uploaded update v0.7.6 builded for 32bit - can you check it out? I don't have any 32-bit system to test now but I will build next update (v0.7.6) for 32bit system tomorrow. Do you have "Logs" folder near the game's executable? This game does not have and does not plan to have multiplayer in classic meanings. Instead I want to mix single and online experiences. In the bottom floors you can only see other players. At 3rd and 4th floors you will need other player(s) to solve puzzles. 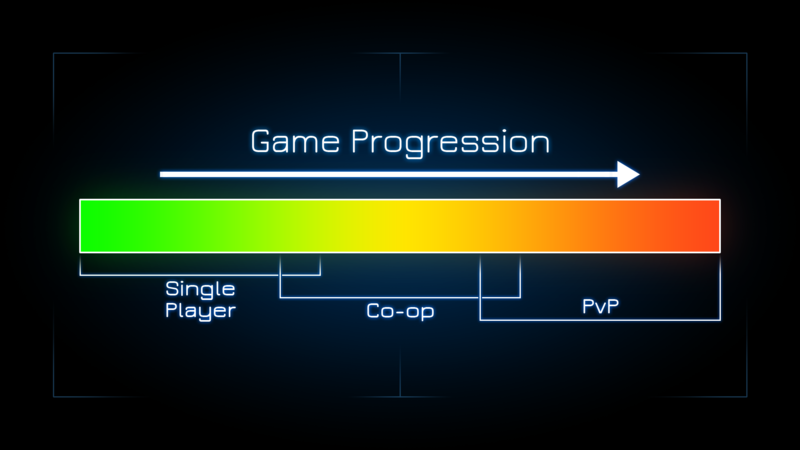 Latter you will reach true CO-OP and PVP zones. 1) Which version of the game you play? 2) Do you play in full screen or in window mode? 3) Did you try to restart the game? Hey! It's so nice to see somebody playing my game!! Thank you so much! So sad that you got problem with a mouse.. I have no idea where to look to find a source of this bug. Did you try to unplug/plug-in you mouse or (and) reboot your PC? Do your mouse use some special drivers?